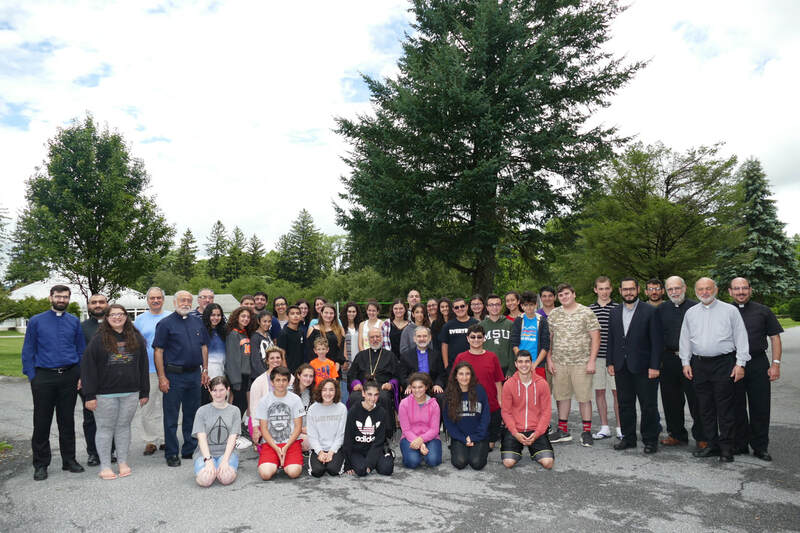 The Eastern Prelacy’s St. Gregory of Datev Institute held its 31th annual Summer Program for youth ages 13-18 at St. Mary of Providence Center in Elverson, Pennsylvania, from July 2-9, 2017, with the participation of 33 students, held under the auspices of His Eminence Archbishop Oshagan, the Prelate of the Eastern Prelacy of the Armenian Apostolic Church of America. Sponsored by the Prelacy’s Armenian Religious Education Council (AREC), and directed by Rev. Fr. Nareg Terterian, pastor of St. Sarkis Church (Douglaston, New York), the Institute offers a unique Christian educational program for youth to enrich their knowledge of the Christian faith in a wholesome and nurturing environment, coupled with recreational activities and daily worship. Indeed, these three components—education, worship, and fellowship—shaped and governed the daily schedule of the weeklong program of the Institute. Every morning, after breakfast, the students would file out for chapel for a short morning service. Classes were held from 9:30am to 12:30pm, and then another hour or two in the evening. In the afternoons, the students enjoyed recreational activities, such as volleyball, basketball, soccer, swimming, and other sports activities. There was also a special excursion this year—canoeing at French Creek. And before retiring to their rooms for the night, the students would once again gather for a short corporate/communal prayer service. The curriculum of the Institute is designed to be completed in four weeks (one week each summer). The students who complete the program have the option to return for postgraduate classes. All five levels of classes take place concurrently. Through lectures, interactive presentations, and discussions, the curriculum exposes the students to a range of important foundations of Armenian Christianity, from Bible and creeds, sacraments and sacred chants, personal and corporate prayer, Armenian culture and history, to contemporary moral and ethical issues. This year the Institute graduated five students, students who have completed four weeklong programs: Sylvia Bayrakdarian, Davit Isakhanian, Aleen Khederlarian, Lori Samuelian, and Levon Tekeyan. The Intructors of the Institute were: His Grace Bishop Anoushavan, Very Rev. Fr. Sahag Yemishian, Very Rev. Fr. Zareh Sarkissian, Rev. Fr. Antranig Baljian, Rev. Fr. Nerses Manoogian, Rev. Fr. Gomidas Baghsarian, Rev. Fr. Sarkis Aktavoukian, Rev. Fr. Nareg Terterian, Rev. Fr. Stephan Baljian, Rev. Fr. Hrant Kevorkian, Dn. Shant Kazanjian, Dn. Vahan Kouyoumdjian, MD, Dn. James Haddad, Mrs. Maggie Kouyoumdjian, Mrs. Annie Ovanessian. The supervisors and counselors were: Dn. Harout Takvorian, Dn. Bedros Kalajian, Dn. James Haddad, Maggie Kouyoumdjian, Tamar Lakissian, Annie Ovanessian. And Yn. Alice Baljian, R.N., was the resident nurse. 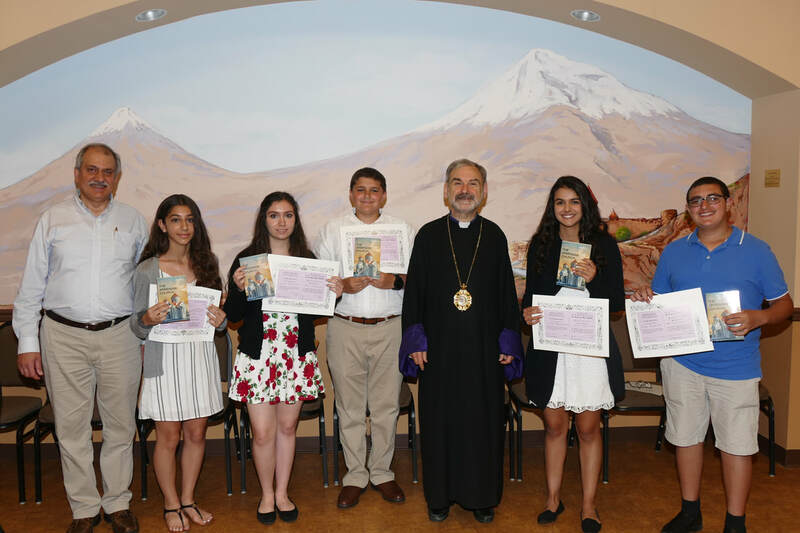 The Datev Summer Program is made possible through the collaborative efforts of the Armenian Prelacy, clergy and lay instructors and leaders, parishes, parents, and a number of organizations and individuals. The Institute thanks the instructors for their labor of love, the parents for entrusting their children to the Institute for a week of Christian formation, the supervisors and counselors for their invaluable services. The Institute extends its appreciation to those parishes that subsidized a portion of the expenses by providing scholarships to church-server participants, to the Pashalian Family Education Fund, and to the following for their generous support and donations: The St. Illuminator’s Armenian Cathedral (NYC), St. Gregory the Illuminator Armenian Church (Philadelphia, Pennsylvania), Soorp Khatch Armenian Church (Bethesda, MD), St. Sarkis Armenian Church (Douglaston, NY), the National Association of Ladies’ Guilds (NALG), Ani Chapter of the Armenian Relief Society (Pennsylvania), and Artemis Chapter of the Armenian Relief Society (Pennsylvania). ​His Eminence Archbishop Oshagan, Prelate of the Eastern Prelacy, and His Grace Bishop Anoushavan, Vicar General, flanked by the 2017 Datev Institute participants and instructors.